This entry was posted in Uncategorized on January 30, 2017 by krcadmin. New summer hours for worship services start July 3 – August 28 -10:00 -10:45. New church directory will be done through Lifetouch. Dates of pictures being taken are September 15, 16 and 17. More information next month. This entry was posted in Uncategorized on July 18, 2016 by Amanda Thomas. VBS will be held from August 8 -12. It will run from 9:00 -11:45 daily. All children from 3 years old – 8th graders are invited to attend. On Friday we will have a closing program with a picnic to follow starting at 12:00 noon. All are invited to attend. Our theme this year is Cave Quest. The daily Bible points for each day are listed below as well as the color to wear each day. 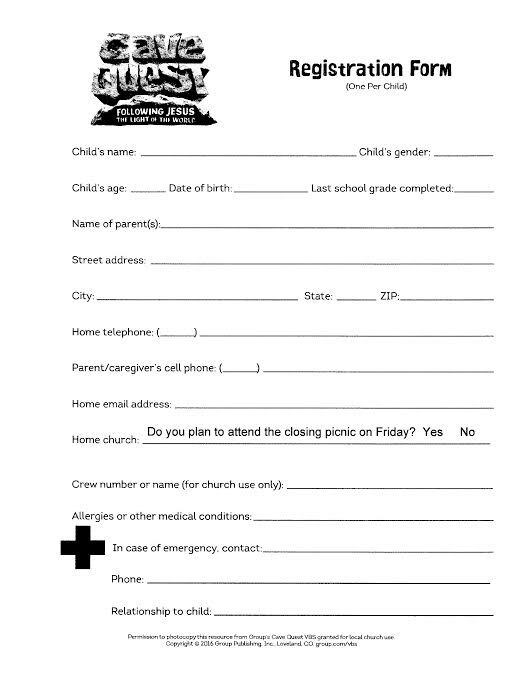 The registration form is attached. The form can be printed. It can’t be filled in on the computer. If you have any questions about VBS please call 872-1696 or email me at squay@nycap.rr.com. We hope your child/children will join us at VBS. Please feel free to mail back the forms to me at 1943 Berne-Altamont Rd. , Altamont, NY 12009. Also you can bring with you on August 8th . The month of March brings us Easter Sunday, one of the two great celebrations of our faith! Easter is the day that Jesus Christ rose from death, victorious over the final enemy of us all. No wonder Easter is one of the highlights of the year for Christians! I can hear some people saying that Easter is surely a wonder-filled day, with joyful voices singing God’s praise and the sanctuary decorated with beautiful flowers. But, they would quickly add, their favorite Christian holy day must be Christmas! The carols sung and the candles bring hope. The Christmas trees in our homes are decorated and gifts are opened. What a wonderful day! From our perspective, both Easter and Christmas are inspiring holidays which are anticipated by us all and we don’t need to debate which one is more special. Let’s look at Christmas and Easter a bit differently for a moment. Let’s explore these two great days from God’s point of view. Let’s ask “What did God give us on those two greatest days in human history?” Christmas is the moment that God became present in our midst. That’s what the word “Immanuel” means: “God with us.” Easter’s headline is this: “God has raised Jesus from the dead!” God’s power was on full display, and God proved that he can do life-changing things! Christmas is about God’s presence and Easter is about God’s power. Presence and Power. God knows what we need as people and as Christians. We need God’s presence to have hope and peace. And we need God’s power to be effective in our service and to live significant lives. Presence and Power. Christmas and Easter. That’s why my benediction, each Sunday at the end of our worship, as we are about to go back into the world, always is this blessing: “May God’s presence and power be with you, now and forever! This entry was posted in Uncategorized on March 8, 2016 by Amanda Thomas.